Publishing a book on Kindle involves a number of steps not easily found or readily understood by new writers. If you’re trying to publish your first book, it can seem daunting and overwhelming. It needn’t be that way. Hopefully, today’s tips will help greatly smooth out this process for you. There are several methods by which you can create an acceptably formatted manuscript that Kindle will accept. Our focus is on those approaches that new authors can most easily implement. They say you shouldn’t judge a book by its cover. Sadly, many readers do! Once you’ve chosen your title, coming up with an attractive cover is essential. Kindle prefers .jpg images and their optimal size for the cover is 1600 x 2500 pixels. This file will be loaded into your Kindle account separately from your manuscript upload. If you’re stuck for ideas, head to the Fiverr website and pay someone to do it for you. After all, you’re a writer not a designer. For as little as $5, you’ll get that 1600 x 2500 .jpg you need. Choose a good seller and you’ll get a bonus 3D version within the same package. Quality, royalty-free stock images that can slot into your book cover’s design can be included for an average of $10. For $15, your Kindle cover is taken care of. On the Kindle website, they indicate that they’d like you to use Latin-1 font for your main content. If, like many writers, you use Microsoft Word, this particular font is not available. So what do you do? Well, Georgia is extremely close to Latin-1 and perfectly acceptable to Kindle. Since Word is their recommended application and Georgia works well, that’s your type of font sorted out. The standard font size for your text should be 12-point. Headings can be 14, 16 or 18, but don’t make them bigger than 18 unless absolutely necessary. The upload itself is straightforward. Choose the zip file and sit back for 5 minutes or so then you’re done! Now you’ve uploaded your cover and manuscript. You should have already set your pricing and typed in your keywords. Don’t forget the book outline. Once you’ve uploaded your document package, your cover may appear along with your purchase details within a day. 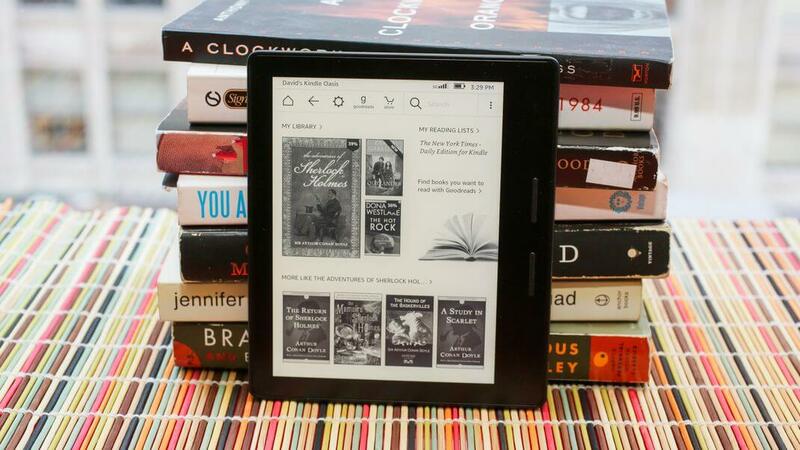 The content may take a day or two to arrive and attache itself to your online book on the Amazon site. Be patient and wait a couple days before you start marketing it to people. Don’t chase sales until everything is as it should be. We’ll round out with some general pointers. You want to make sure your book displays properly across all platforms. These little tips should go a long way toward helping you get your first Kindle book published with a lot less stress and time consumed. Good luck with your authoring career! Last updated by David Richardson at February 4, 2018 . What Files Does Kindle Use?